The crisis in the rental market is driving more people into homelessness than any other factor, a stark new report shows. New data from the Dublin Regional Housing Executive (DRHE) notes that, between February and June this year, difficulties securing a rental property or losing one forced more people to present to homelessness services than a change in family circumstances. 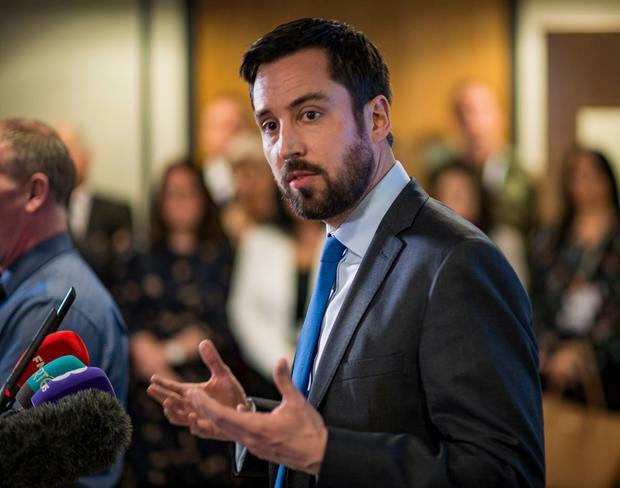 It comes as Taoiseach Leo Varadkar acknowledged the Government is “going in the wrong direction” in relation to emergency accommodation but his Housing Minister Eoghan Murphy indicated he will resist calls to step aside. The Government has come under fire for an over-reliance on rental accommodation to tackle the housing crisis, with Fianna Fáil housing spokesperson Darragh O’Brien saying the Government “isn’t even treading water, they’re drowning”. “We have known for years that the problem is the lack of security in the private rented sector,” he said. Meanwhile, the Labour Party’s spokesperson on housing, Jan O’Sullivan, said the report “very starkly indicates that the concentration on the private sector – which is the preoccupation of Fianna Fáil and Fine Gael – is not working”. A spokesperson for Mr Murphy’s department said a bill to strengthen tenancy rights was due out in Autumn. The report shows that, in February, 57pc of those who presented as homeless were due to difficulties in the private rental sector, compared with 38pc who presented due to reasons associated with family circumstance. This compares with January 2017, when 63pc of presentations were due to family circumstance. In June, the latest data captured in the report, 52pc of presentations were because of rental problems compared with 39pc who presented because of family circumstances. The DRHE says it recognises that work is under way to strengthen the protections for tenants in private rented accommodation. A separate report shows Dublin City Council has completed just 192 new units to date and has delivered a total of 721 homes out of its minimum 1,763 target. A number of projects are under way with several expected to be completed before the end of the year. Mr Murphy has threatened to strip powers from local authorities who are not delivering on housing, but refused to name which councils he had written to urging action. He pointed to a 40pc reduction in the number of rough sleepers, an increase in the number of new homes being built, and a stabilisation in rising rents – increases which now stand at 2pc rather than “double-digit” figures – as proof of progress in other areas. “The truth is there is no quick fix,” he said. “This is a housing crisis, a housing shortage that has been emerging for a very long time now,” he said. Meanwhile, Mr Murphy brushed aside a question on whether he has considered his position, saying his focus was on delivering a sustainable housing plan.